The Italian city of Genoa renamed one of its squares 'Rotonda Donne di Teheran' (Women of Tehran Square) in the Fiumara commercial district as part of its Human Rights Week on July 21, 2010. 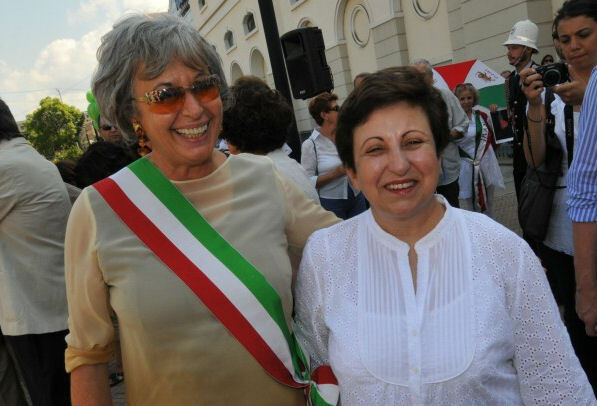 Mayor Marta Vincenzi unveiled the new plaque honoring the women who demonstrated for freedom on the streets of Iran's capital at a moving ceremony attended by Nobel peace laureate Shirin Ebadi. 'This is a sign of solidarity with the women of Iran, and other parts of the world, who are fighting for freedom,' said Mayor Vincenzi. 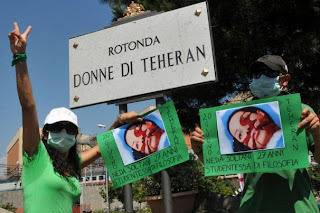 She expressed the hope that mayors in other major cities around the world would follow Genoa's lead and pay tribute to Iran's women.